"What is our first destination? We should head for the sun! Right, it’s the center of our Solar System." "And it’s bigger than all the planets put together!" "There it is, the last planet!" "Neptune! Furthest planet from the sun." "It’s orbit around the sun takes more than 164 years!!" "That means in Neptune year, everyone on earth is less than one year old! "When we talk about Africa it is important to remember all of the nature that exists there. " "Exactly. The barren desert lands of the Sahara in the north stretch to the plains of the Serengeti in the central regions. " "From there, the lush mountain jungles descend to the beautiful coastal regions in the far south. " "Clearly Africa has it all. Also, it has some of the most amazing wildlife on our planet. " "For sure. The cheetah is my favorite and how it can run at up to 70 miles per hour. Faster than people typically drive on the highways. " "It’s the fastest land animal on Earth! " "In my land we honor the noble unicorn. It is a symbol of beauty and magic. Yellow represents energy and black represents strength. In Maretonia we study the art of role play. We also study the value patience. This is what makes me the best knight in all the land." "In my land we honor the powerful dragon. It is a symbol of power and miracles. Red is the color of love and black is the color of ——-. 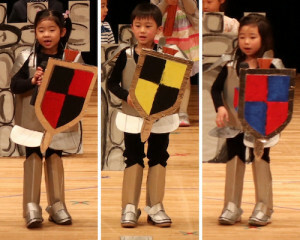 In Erinopolis we study the art of role play and the value of kindness. This is what makes me the best knight in all the land." "In my land we honor the majestic griffin. It is a symbol of strength and protectors. Red is also the color of passion and blue is the color of honesty. In Rihonia we practice the art of role play and reading. We also study the value of generosity. This is what makes me the best knight in all the land." 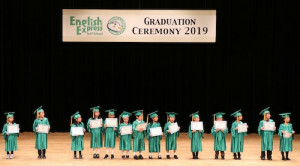 Copyright © English Express International School（イングリッシュ・エクスプレス） All Rights Reserved.